Eisenberg’s Sandwich Shop–one of our favorite spots in NYC and a must-see for visitors to the city. Try the lime rickey! 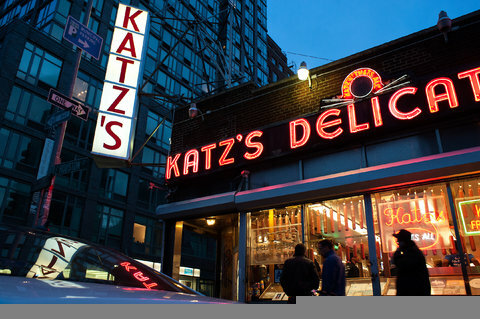 There’s no denying New York’s an expensive town to visit, and sampling the amazing array of cuisines offered at the city’s seemingly endless roster of eateries can take a big bite out of one’s travel budget. That’s why Restaurant Week, which happens a couple of times a year (and has long since stopped limiting itself to a mere seven days), is considered cause for celebration by both New Yorkers and those savoring a sojourn in the city. It’s a terrific opportunity to patronize some of the spots that might otherwise be out of one’s price range. From January 16 though February 10 (Monday through Friday only), foodies all over town will be out savoring the culinary offerings of many of the city’s most celebrated restaurants. But don’t dally, if you wish to join them—reservations go fast. Book yours now for the participating dining spot of your choice. 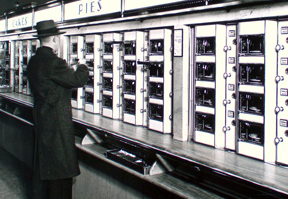 We thought you might enjoy Edible Manhattan‘s look back at the Automat; we did. One of our great regrets is that we can’t take our tour guests for a spin through an Automat. Alas, the last one closed in 1991. But they remain alive in our memory. 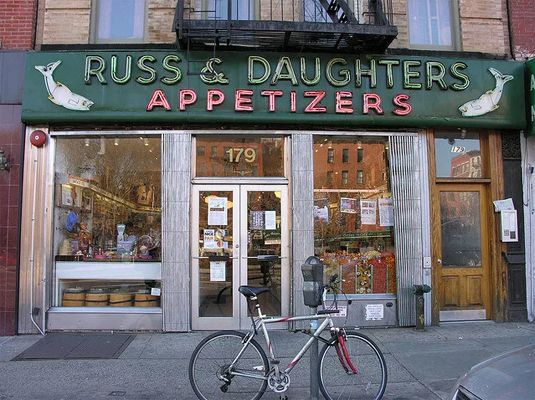 There were two or three remaining when we arrived in New York in 1982, and we managed to grab lunch at one (though just once, to our undying regret). 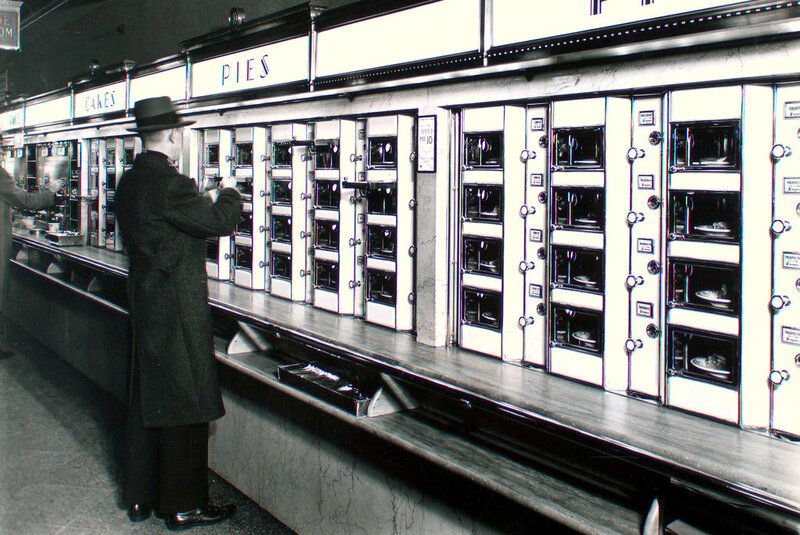 By the time of our visit, the Automats were pretty dismal spots, attracting more destitute unfortunates than working Joes and Jills. We don’t recall much about the food we ate that day, which leads us to believe it must have been fine, if unexceptionable (surely we’d recall if it had been truly objectionable). 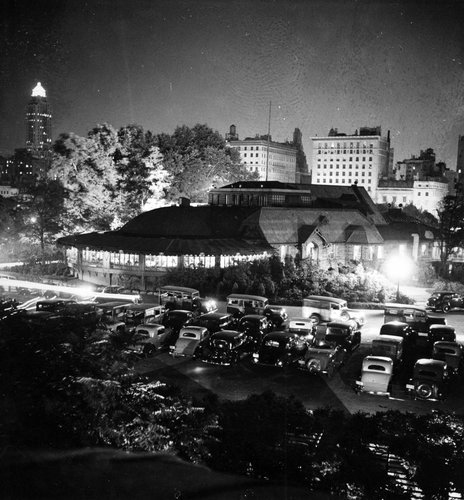 Still, we can proudly state that we once ate at an Automat, something that many tens of thousands of newer New Yorkers, not to mention the tourists who flock to our great city by the millions, are unable to claim, so that’s of small comfort. Planning a trip to NYC for Thanksgiving? Man cannot live on floats and giant balloons alone. You’re going to want some turkey and perhaps even some pumpkin pie, no? Don’t fret—the indispensable Manhattan’s User Guide has compiled an extensive list of eateries that will be serving on Thanksgiving; there’s bound to be one near you.